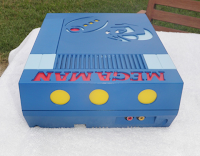 How do you make an old Nintendo console better? Simple: give it a little Blue Bomber flare fare. This bad boy is brought to you by Video Game Rescue's Kevin. Unfortunately, it's not for sale. Still, that shouldn't stop you from admiring some fine camera work. Check out more images here! 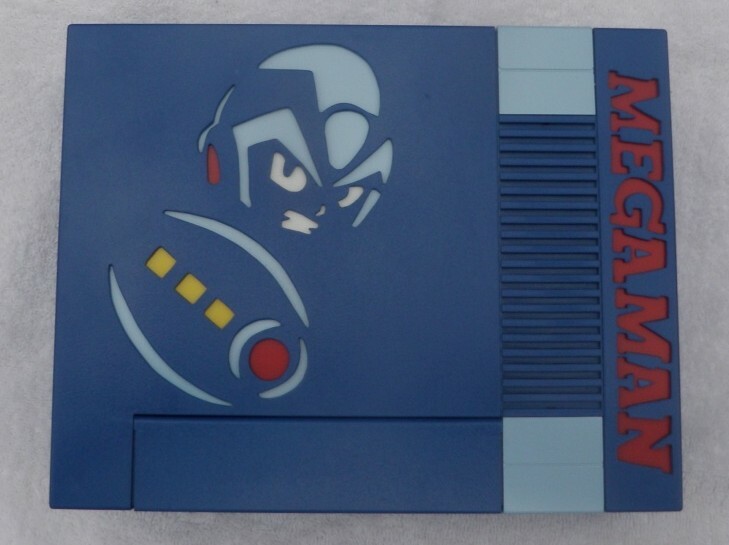 Kinda weird to use a Mega Man X design on a console that had zero Mega Man X games (unless you count pirate game Rocman X! ), but it looks cool. 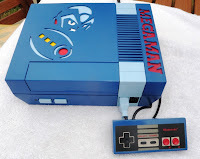 @Wilynumber13:Kinda weird to use a Mega Man X design on a console that had "ZERO" Mega Man X games (unless you count pirate game Rocman X! ), but it looks cool. 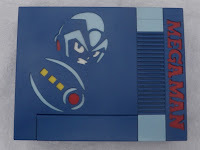 Hey, if I post a picture of my Megaman collection, is it gonna get a whole article, too? Hey Protodude, is it possible to post a article about MegaMan fanfiction? If so, will you mention my MegaMan Battle Network fanfic? 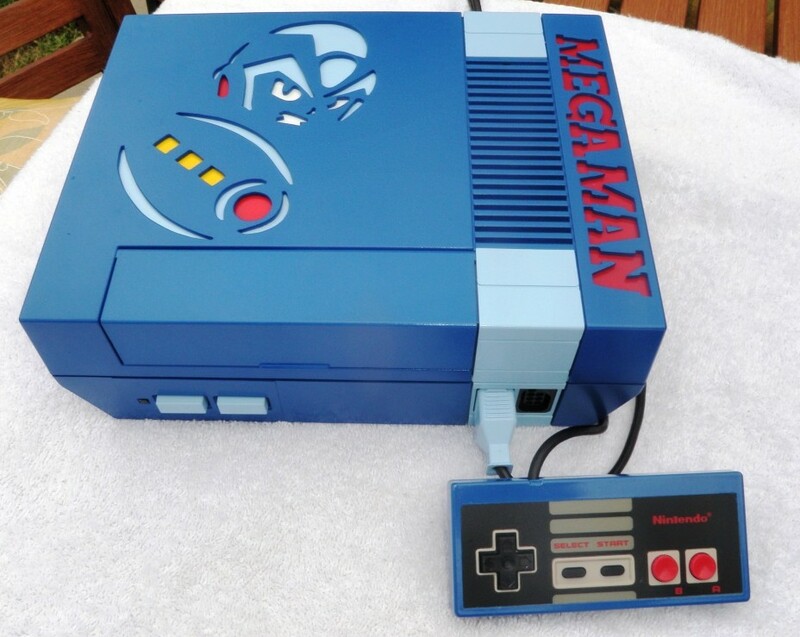 Moar leik "This NES Has Been Megafied X." amirite? It is odd how often pictures of X get labeled with the classic logos . . . I guess, maybe, to the layman there isn't much difference between Mega Man Classic and Mega Man X.
Kay, here's a snapshot of it. I can get more, if you'd like. Something tells me this would have blown people's minds back in the 90's. Today we are spoiled with so much amazing fan crafts it's hard to go bananas for something like this, as cool as it is. Amir, where are all the games? @Pluvris: I wanted to show my more unique and obscure items. I mean, everyone has seen the usual stuff like Megaman Anniversary on PS2, X1-8, the EXE games, and all that jazz. I'd rather have my more "Oh wow" items on display, like the EXE3 Plug In PET, and so on. There's more pictures than just that one, but I sent them as an email. Is X a Transformer able to turn into a video game??? Maybe he used X's face and the original buster on purpose?